Not using Pinterest yet? You should be. Once the near exclusive playground of blossoming fashion bloggers and hobbyists, the image-collecting platform has quickly evolved into a brand specialist’s dream. More than just a way to pass the time when executives aren’t looking, Pinterest should be viewed as the next natural extension of your current social media and branding efforts. You create “Boards,” or galleries, to organize things you find online that peak your interests, and reflect your – or your brand’s – style and aesthetic. Those items are then “Pinned,” or categorized, by topic. This is more than organizing pretty pictures. You’ve got a platform for creating visual and emotional connections between users and the things your brand stands for, the lifestyle your brand pushes, and the ideas and images you want your market to ascribe to. Basically, users are linking into, and engaging with, the soul of your company. This being the case, you really want to make sure your Pinterest manager had a strong sense of your business’ voice and message. Remember, Pinterest is not just an output medium, where you exclusively push your brand’s message (think Facebook or Twitter). It’s more of an interests sharing experience. You’re showcasing the things you discover online, and you’re sharing pins from other users. And, just as much as Pinterest opens a small window to the minds behind your business, it’s also an opportunity for you to get to know your market. Browse the pins of the people following you—you’ll learn all sorts of things about their interests, and how your company’s mission, products and activities line up. • Get creative: Run a contest, source pictures for giveaways, create and share visual stories. Mashable’s Lauren Drell has some great ideas on ways to capitalize on pinning. • Be consistent: Just as sad as it is to see a company with a stagnant Facebook, Twitter, Foursquare or blog, its entirely depressing to see a company with an underwhelming Pinterest page. Especially in light of the vibrant pages populated by hobbyists who pin for fun, not brand appeal. Don’t stop at one board. Create many. And fill them! • Be intentional: Obviously, you don’t want to pin randomly; rather, pin things that speak to your brand. Take a look at the way Allrecipes pins about food, drinks and cookbooks, or the way Modcloth pins reflect a cute, vintage-loving girlie-girl aesthetic, through fashion, food and craft boards. Be creative and expansive, but always pin with your company’s brand in mind. • Be unselfish: Again, Pinterest is a discovery platform. Don’t just pin things from your company’s repertoire. Pin from multiple brands and multiple sites. And, re-pin from other people’s boards. Not only does that show you play fair, but it also brings humanity to your brand, and is the first step to establishing an active relationship with your followers. • Most of all, have fun! Who doesn’t appreciate a nice little pat on the back, especially if it comes from prestigious industry bigwigs? For us, our awards come when our clients are honored. You won’t see a laundry list of industry awards for Change Communications and that’s because we don’t submit for them for ourselves. They take entirely too much time and energy, and those are better spent securing awards for our clients. So we are thrilled to congratulate email security leader eCert for being honored by SC Magazine as a finalist for Best Rookie Security Company! 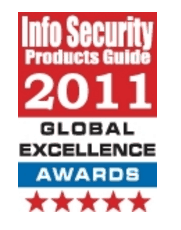 In addition, eCert is also recognized by the Info Security Products Guide as a finalist for two awards: Best Security Products and Solutions for Finance and Banking and for Best New Security Start-Up Company of the Year. Last year, eCert won Info Security Products Guide’s awards for Best Security Innovation and Woman Executive of the Year for CEO, Kelly Wanser. eCert has been recognized for its security service to protect the email traffic of enterprises, banks/institutions, government agencies and all of their constituents, which basically means that they are protecting YOUR email from phishing and email fraud attacks. You don’t have to know how eCert does it but know that they are there making sure you’re not getting a wave of emails from fake banks asking for your financial information. And hey, friendly PSA because we care, never give out your financial or personal information (social security number, address, banking account numbers, passwords, etc) to ANYONE, especially Nigerian Princes!